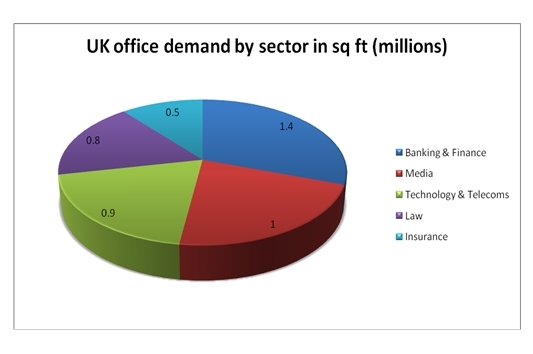 In Q1 2016, Metropolis researched over 500 companies actively searching for office space in the UK. 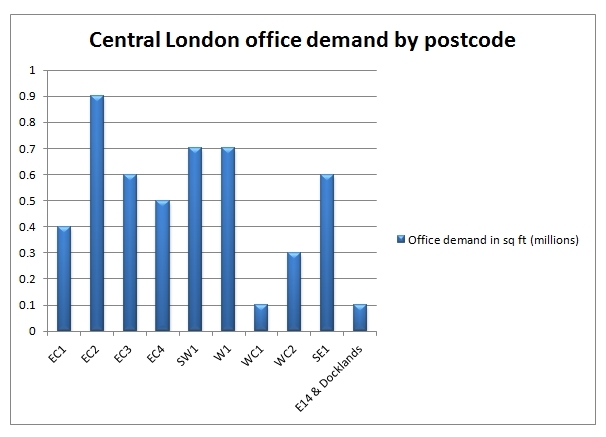 Total office demand identified in Q1 hit 9.4m sq ft.
We could see about 200,000 sq ft of the potential demand from lease ends researched in Q1 2016 convert to active searches for office space this year, with several 20,000 sq ft + office requirements expected to surface from Media and Insurance companies in the next few months. One or two major requirements also look likely to trigger in the next few months from the 1.2m sq ft of 2017 leases due to expire, including a possible 80,000 sq ft West of London/Thames Valley requirement from a major Technology company. The Metropolis database system holds all of the above data and thousands of other leads – for details on accessing the leads and joining Metropolis please email simon@metroinfo.co.uk or call us on 01296 631 186.